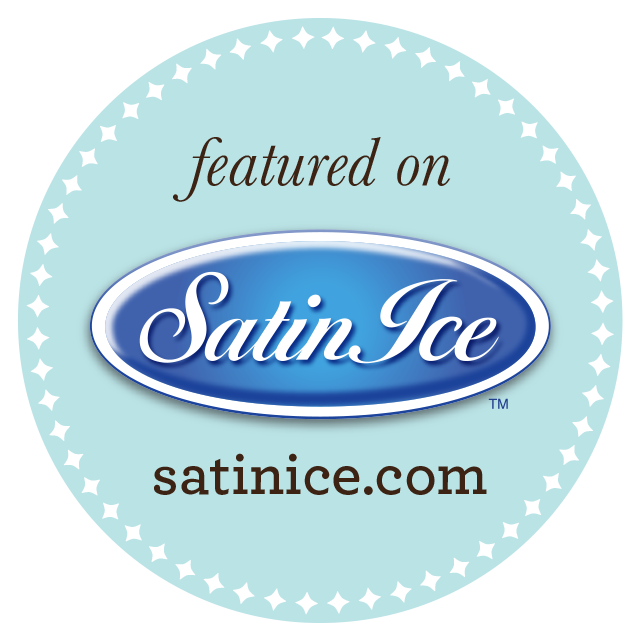 A German chocolate cake layered with coconut pecan custard filling, frosted in Ganache and draped in Fondant. 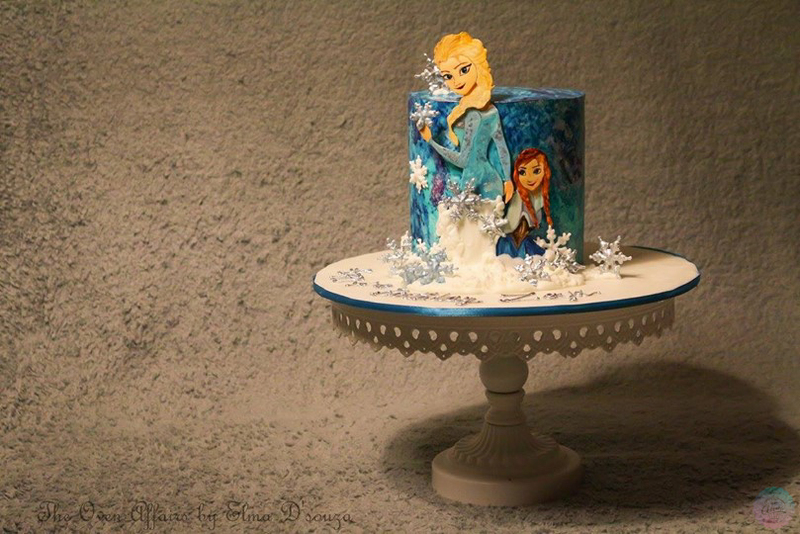 The cake is a celebration of Disney's most popular fantasy animation movie "Frozen". The film tells the story of a fearless princess who sets off on an epic journey alongside a rugged iceman, his loyal pet reindeer, and a naïve snowman to find her estranged sister, whose icy powers have inadvertently trapped the kingdom in eternal winter. 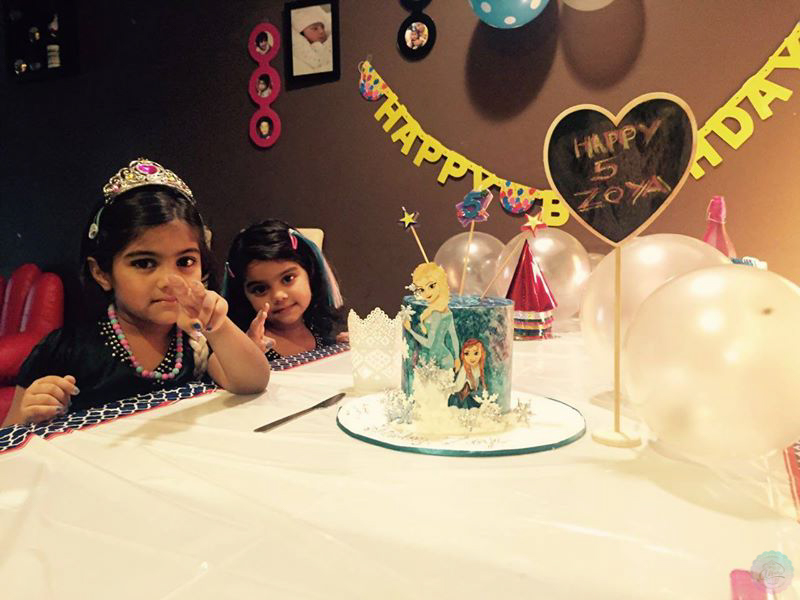 It ranks as the highest-grossing animated film of all time and the third highest-grossing original film of all time. 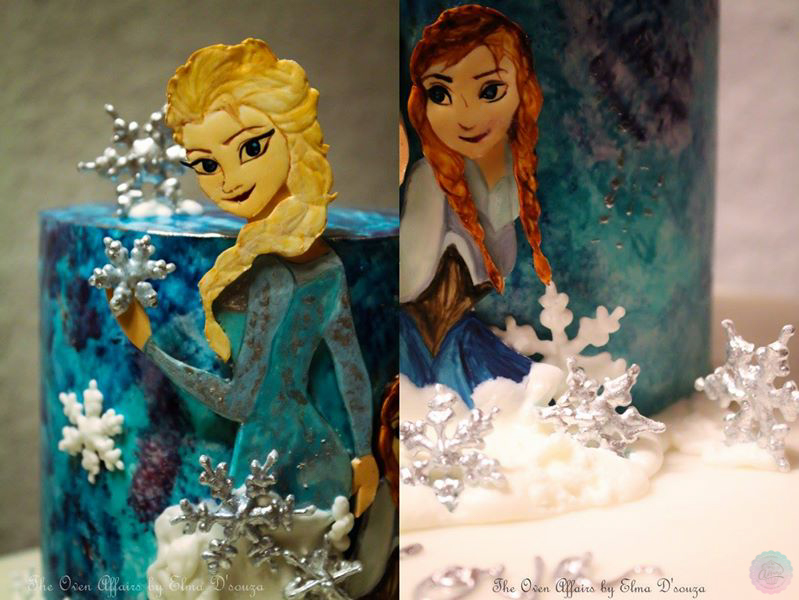 The cake background has been hand painted by sponge to create the appearance of a raging blizzard.The snowflakes and snow have been created in royal icing.The characters Elsa and Anna have been handcrafted and handpainted in Gumpaste. 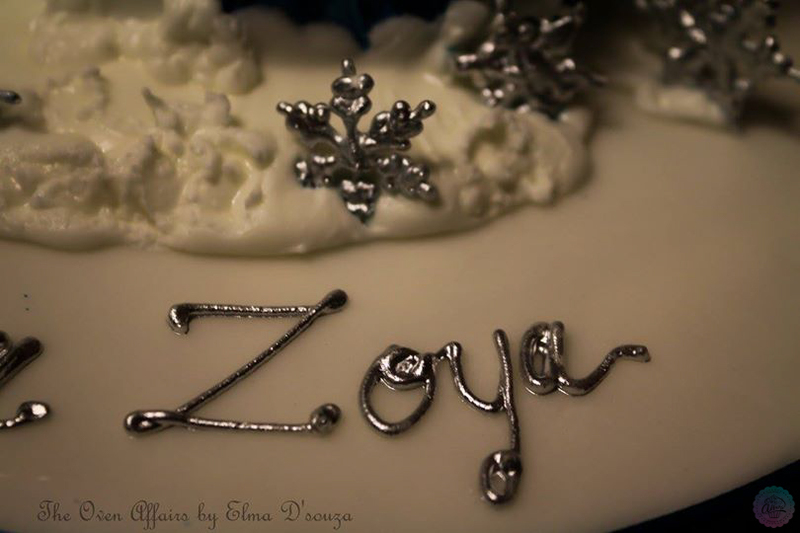 Created for Zoya on her birthday as requested by her parents Jaiz and Leena.